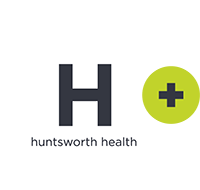 Picture this: among regular day-to-day tasks, you have three projects with deadlines for end of week, you’ve just received an urgent request from your client, and you are in the midst of managing an issue that has arisen, all while balancing your time to help and support your team. You’re also trying to pack for work-related travel, answer phone calls and texts from family and friends, find time to go to the gym, cook dinner, and perhaps clean your house. A fictional situation? Or perhaps a very real scenario…welcome to the world of PR! What I, and I am sure many of my colleagues, can attest to is that you learn something new every day working in public relations. One of the aspects that drew me to this profession at a young age is that it’s far from boring. Every day at the office is different than the next, often bringing a range of “surprises,” let’s call it. What sometimes gets brushed under the rug is the stress that these “surprises” can bring. 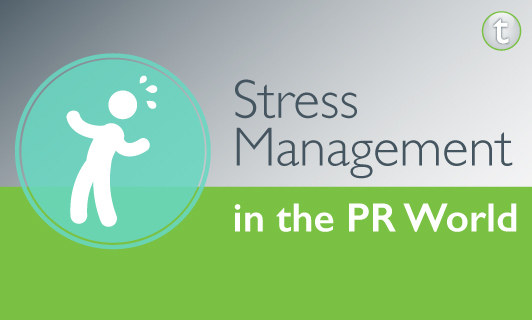 In 2013, Forbes listed PR as one of the most stressful jobs in the U.S.
Organize, then prioritize. To-do lists are great, and I definitely create more for myself than I’d like to admit, but they can often become unmanageable and overwhelming. One of the first things I learned in organization is prioritization. On my to-do lists, I number my top three tasks that must be crossed off by end-of-day. This isn’t to say that my top three tasks never change throughout the day. The key is to be flexible and level-headed when you need to re-prioritize, or even change your list completely. When you start to feel overwhelmed, take five minutes to regroup and clear your head. Identify which deadlines are due first, and which projects can take a backseat until tomorrow. Find time for yourself. Scientific American published an article on the benefits of giving your brain a mental break. The evidence is clear: downtime increases our attention, motivation, productivity, and creativity. Since most of us aren’t able to take a 92-day meditation retreat, find other ways to unwind. Exercising, reading a book, or simply turning off your electronics for a few hours will help you recharge. Stress affects everyone in different ways, so take the time to find what helps you relax and ease your mind. Have perspective. The most successful PR professionals know that great agencies are built on teamwork and cooperation. Divide and conquer tasks with your colleagues, and remember to have fun. Something that may seem incredibly stressful in the moment is just one small part of the bigger picture, and one small step to a great event, media day, campaign launch, or product milestone. While the field of PR will always be fast-paced and stressful, there are ways to manage this line of work so that you stay sane and happy inside and outside the office. Any other stress-reducing tips to share? Do so in the comments below!